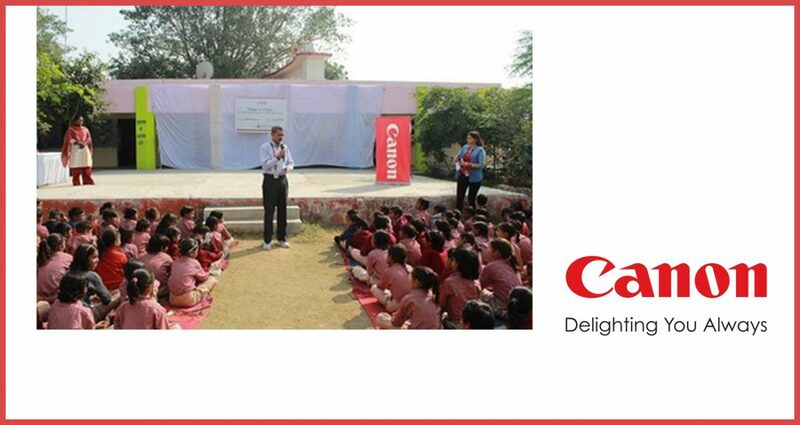 28 November 2018, New Delhi : Staying true to its corporate philosophy of ‘Kyosei’ – living and working together for the common good, Canon India, marked the month of November dedicated to Children’s Day celebrations. With an aim to further strengthen its dedication towards the children of the nation, the imaging marvel organized various initiatives across their adopted villages through their CSR endeavor ‘Adopt a Village’ and ‘Learning beyond Books’. ‘Seeing and experiencing is learning in true sense’, adhering by this, Canon India employees engaged with the children through exciting activities organized as a part of the celebrations, including ‘Photography workshops’ and ‘General Knowledge’ sessions for 50 children of different age groups at the SOS Village, Alibaug.